This comparison shows you how much material you can save from a single nest. Our new nest are capable of many time saving features and will utilize your material better than any other software we’ve seen. The average improvement is 6% on single sheet nests. AutoNest optimizes the layout of a set of parts on a set of sheets in order to minimize the material used to produce all the parts. By default, AutoNest considers the nesting problem as a whole. It will try to nest all parts at once using a given set of sheets. It will minimize the total surface of sheet used and try to generate the biggest possible remnant in the last sheet. Parts can be of any shape. Sheets can have different sizes, defects and each sheet has a given quantity. AutoNest has been designed to deliver very high material efficiency. It uses advanced mathematical methods and is particularly efficient for sheet metal, when parts can rotate and be nested on several sheets. Tests show an average improvement of more than 5% against competitors in sheet metal (and up to 25% on difficult problems). Lots of constraints specific to the cutting process can be taken into account by the optimization algorithms, delivering efficient results compatible with your working process. 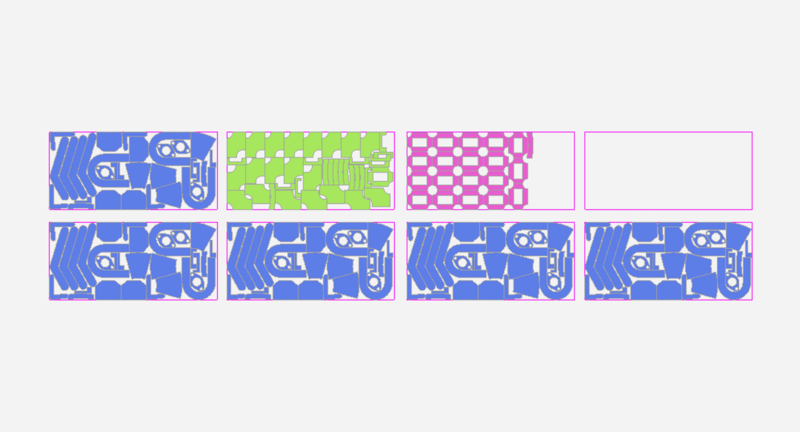 Examples are: using free shape sheet, using the sheet stock in the most efficient way, generating remnant of a given shape, setting priorities on parts and sheets, reducing the number of different layouts, improving yields with optional parts, common cutlines and multiple tools. Solutions will often have incomplete sheets. It may be the last sheet of a big problem or a small problem where you only nest a few parts in a sheet. 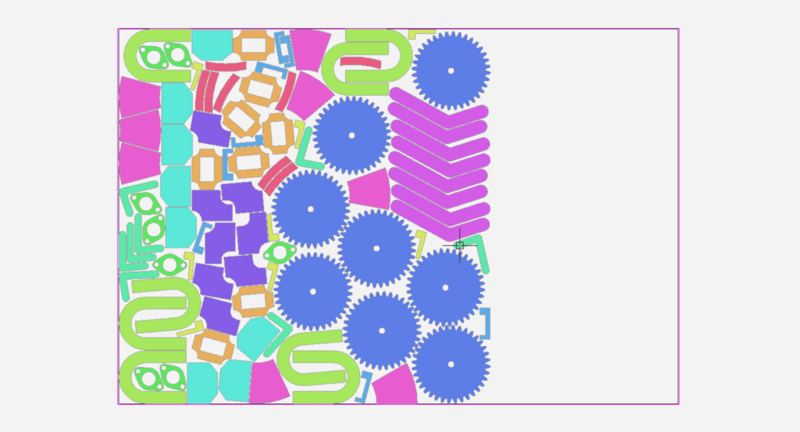 In this case the algorithms will try to nest the parts in order to generate the best possible remnant. 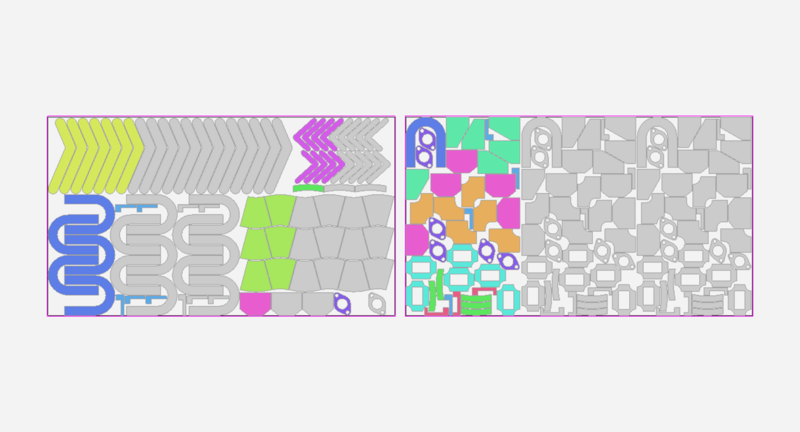 User parameters can influence the shape of the remnant and the direction of the parts. The origin of the nest can be set to any of the four corners and the nesting direction can be Automatic, X-axis, Y-axis and Minimize area. 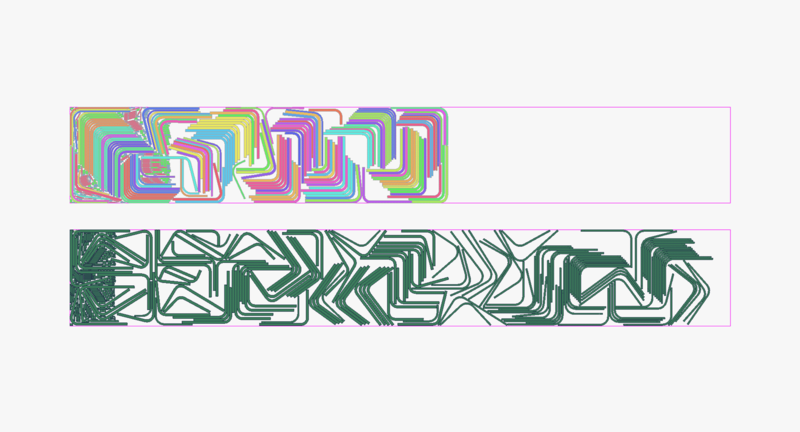 Left: Top-right, X axis. Right: Bottom-left, Minimize area. Reducing number of different layouts. When nesting on several sheets with parts of high quantities, some sheets may be produced several times. This is called the multiplicity of a sheet. For process or cost reasons, some users may prefer to limit the number of different sheets, even at a slight cost in material efficiency. The improved multiplicity mode will look for solutions where the same nesting are produced in bigger quantities. The trade-off between material efficiency and multiplicity can be controlled by the user. When several solutions are equivalent, the algorithms will always automatically try to get the highest possible multiplicity. The user can select between Off, Low, Medium or High multiplicity. 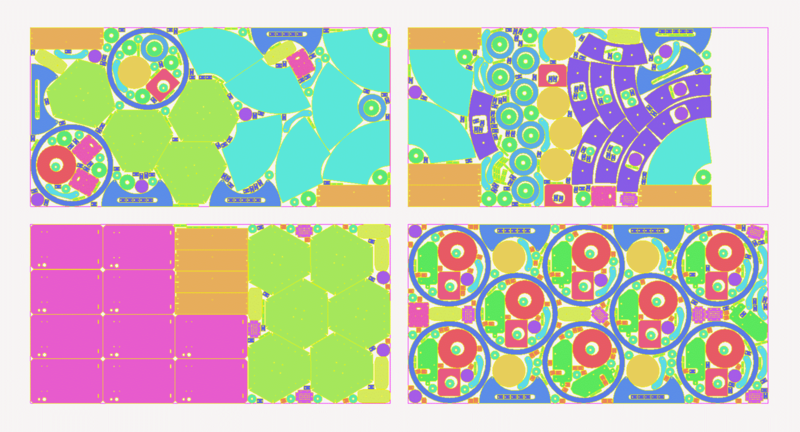 Below is a nest with seven sheets and three different layouts. Sometimes after all parts have been nested, there is still room for extra parts that were not mandatory. 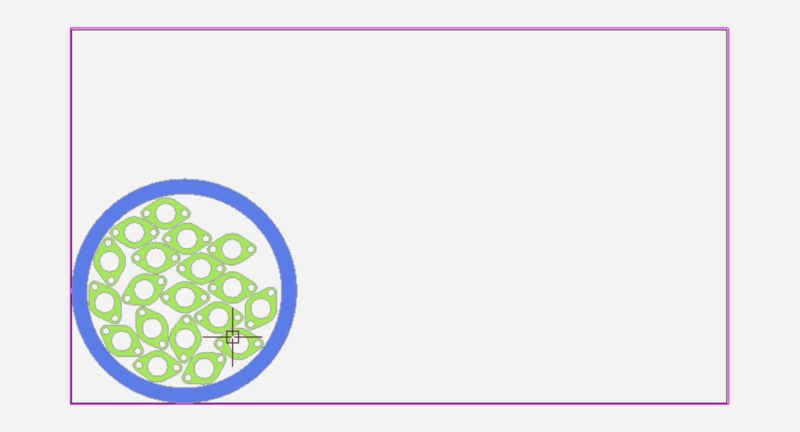 Optional parts can be added that will be nested only if they do not increase the total nested surface. These optional parts can be extra quantities of existing parts or different parts. Filler parts can be nested to fill the last sheet and avoid remnants or only before the remnant cut. Left: Nest with one small filler part. Right: Nest with one small filler part after frontline. When possible the nest will place parts inside holes of other parts first. Common lines between parts can be used both for reducing material use and cutting time. AutoNest is able to automatically generate nesting with common lines by taking into account the part distance and the common line gap. AutoNest can nest using multiple tools. Different algorithms are automatically selected to obtain globally optimized results. AutoNest can nest all IGEMS parts including parts with bevel and parts from 3D-5X. It’s recommended to first nest and apply toolpaths after for optimal results. But AutoNest can of course nest parts with toolpaths as well. For each part, you can set the following properties. – The actual quantity to nest. – The optional filler quantity to nest. – If the part is allowed to mirror. – Choose between six different priority levels. – The color used to display the part while nesting. – If the part should be considered for common line nesting. 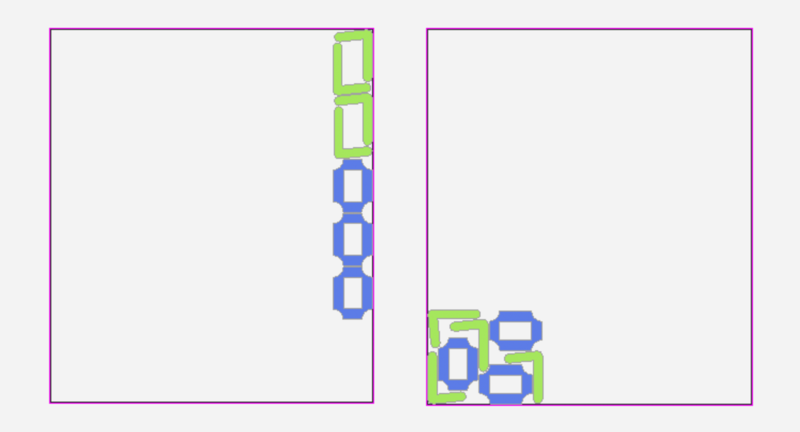 – If other parts are allowed to be nested inside holes of this part. Auto nest can use all IGEMS sheets. 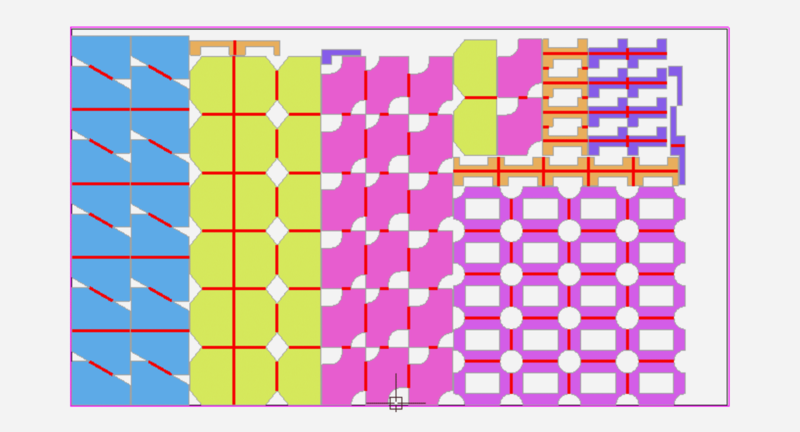 Irregular sheets or sheets with holes. 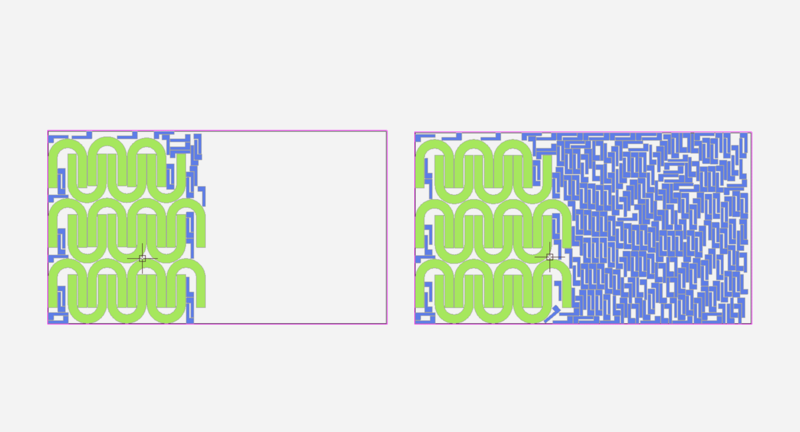 The user can also continue to nest on already nested sheets and have the possibility to define forbidden areas. The sheets can be selected automatically or you can set priorities on the sheets. Each sheet has a quantity and a priority. The new Auto nest has a lot of improvements and new features compared to the old version. 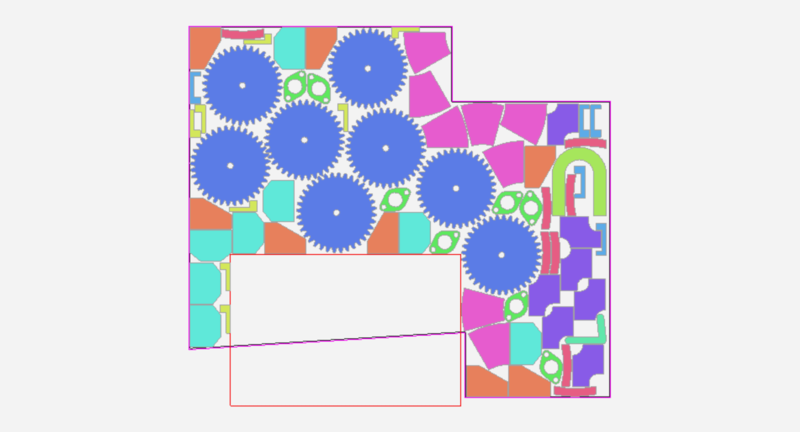 Examples of new features includes the possibility to nest with common cutlines, multiplicity and automatic sheet selection. All aspects of the nesting have improved, the nesting results are better and in some cases much better than before. Average improvement is 6% on single sheet nests.